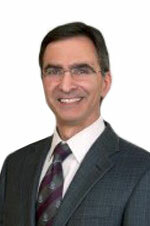 Jeffrey S. Heier, M.D. has been a member of the Board of Directors since 2015. Dr. Heier currently serves as the Director of the Vitreoretinal Service and Retina Research at Ophthalmic Consultants of Boston (OCB), one of the largest and most prestigious multi-specialty ophthalmology practices in the United States. Dr. Heier is the Co-Director of the Vitreoretinal Fellowship at OCB/Tufts Medical School in Boston, Massachusetts. Dr. Heier is on the Executive Board of the Retina Society, the Board of the American Society of Retina Specialists, and President-elect of the New England Ophthalmological Society. Dr. Heier is the past Secretary of Online Education for the American Academy of Ophthalmology and the past President of the Center for Eye Research and Education Foundation in Boston, MA. Dr. Heier is a member of the American Society of Retina Specialists, the Retina Society, and the Macula Society. Dr. Heier is one of the leading retinal clinical researchers in the country for new treatments in exudative and non-exudative macular degeneration, diabetic macular edema, venous occlusive disease, vitreoretinal surgical techniques and instrumentation, and diagnostic imaging of the retina. He serves on the Scientific Advisory Board or as Clinical Design Consultant to over thirty biotechnical or pharmaceutical companies. Dr. Heier is, and has been, the lead investigator on numerous clinical trials, ranging from phase I safety and proof of concept trials to phase IV post-marketing studies. He has authored or co-authored numerous works in peer-reviewed journals, as well as served as a reviewer for the New England Journal of Medicine, Lancet, Ophthalmology, Archives of Ophthalmology, American Journal of Ophthalmology, Retina, and numerous other journals. Dr. Heier received his Medical Degree from Boston University and completed his ophthalmology residency at Fitzsimons Army Medical Center. He also completed a Vitreoretinal fellowship at OCB/Tufts University School of Medicine.